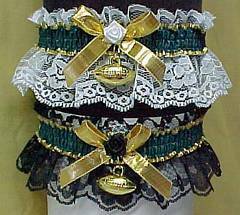 Football Garters for Chicago, Detroit, Green Bay & Minnesota. 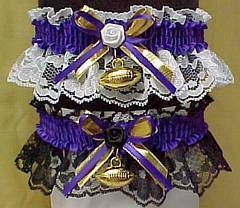 Football Garters, Basketball Garters, Baseball Garters, Soccer Garters, Hockey Garters, Fan Bands™ Garters, Professional Football Garter, Pro Football Garter. All Sports Garters are Custom designed for Professional or College Sports Fans and available in Team Colors. Show your support for your favorite Professional or College Football, Basketball, Baseball, Soccer, or Hockey Sports Team and be an outstanding Sports Fan. Football Wedding Garter Toss. 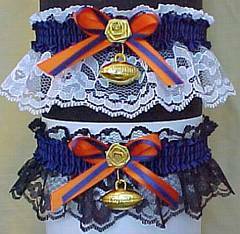 The Best Selection of Garters on the Planet!